The ancient and spectacular shaft of Alum Pot has origins that pre-date not only the Devensian glaciation, but even the great Anglian glaciation which began some 460,000 years ago. Believed to date back about 600,000 years – the pot no doubt once swallowed a much larger waterfall than it does today. 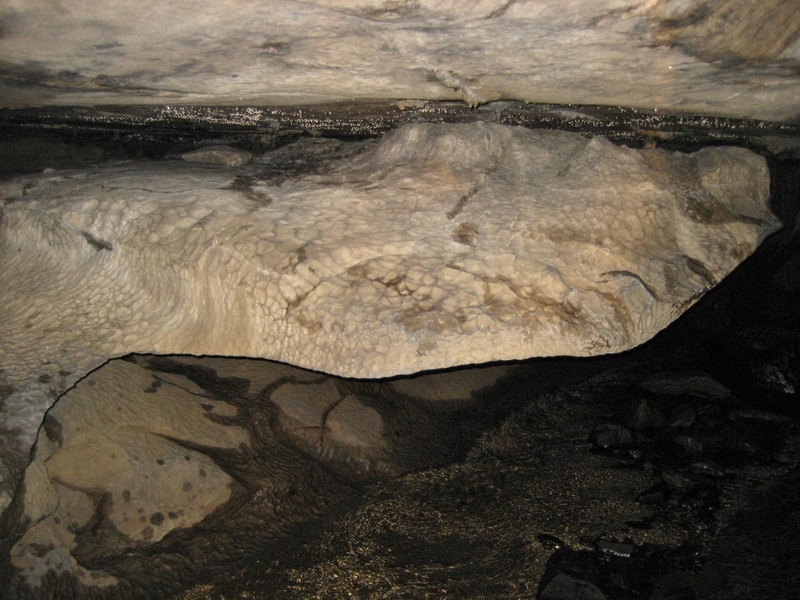 As ice and erosion uncovered more and more of the limestone benches hidden under the Yoredale Series, so beddings were exposed for the water to exploit, and the Long Churn Caves were formed. 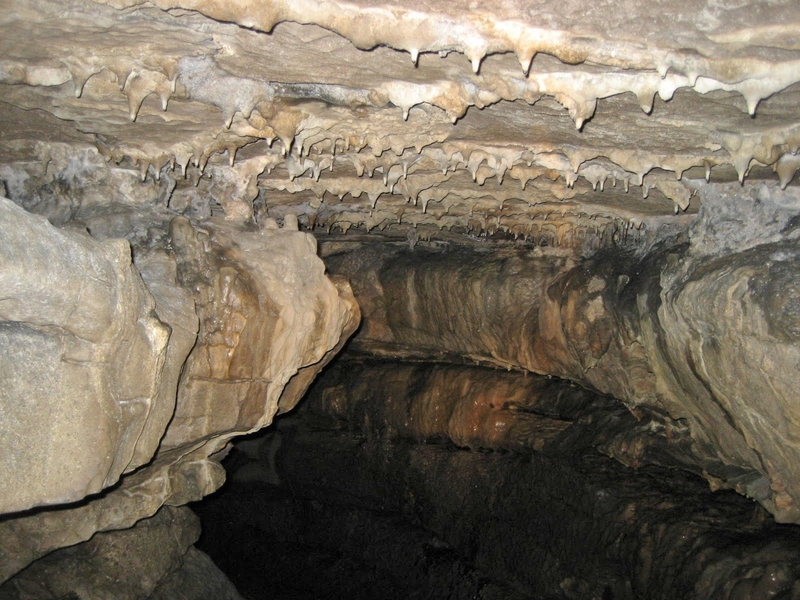 Stalactites in the passages of these caves have been dated at 120,000 years old. Today, Alum Pot takes a large waterfall only in flood, when the shallow passages of the Long Churns cannot cope with the excess water, and a powerful torrent runs over the lip of the shaft. 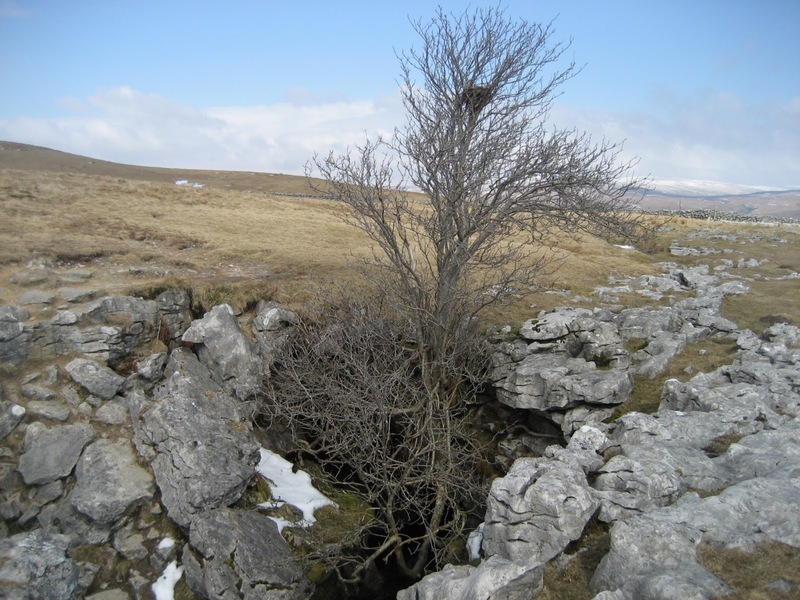 The Long Churns, together with Borrins Moor and Wilson’s Cave, contain over 3km of vadose streamway, developed in bedding planes near the top of the Great Scar Limestone. 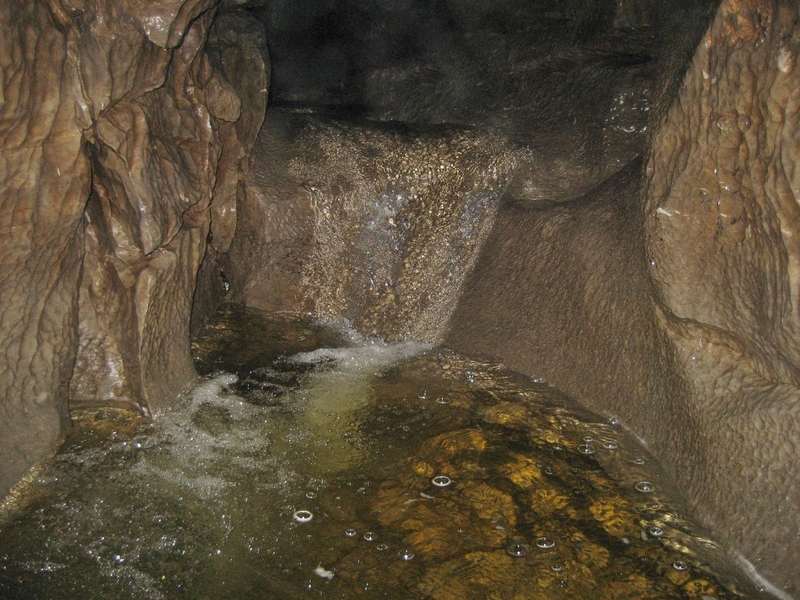 The main flow from the catchment of Simon Fell drops dramatically down a 4.5 metre chute into Doctor Bannister’s Handbasin; a waist deep pool lying in a low, round chamber. 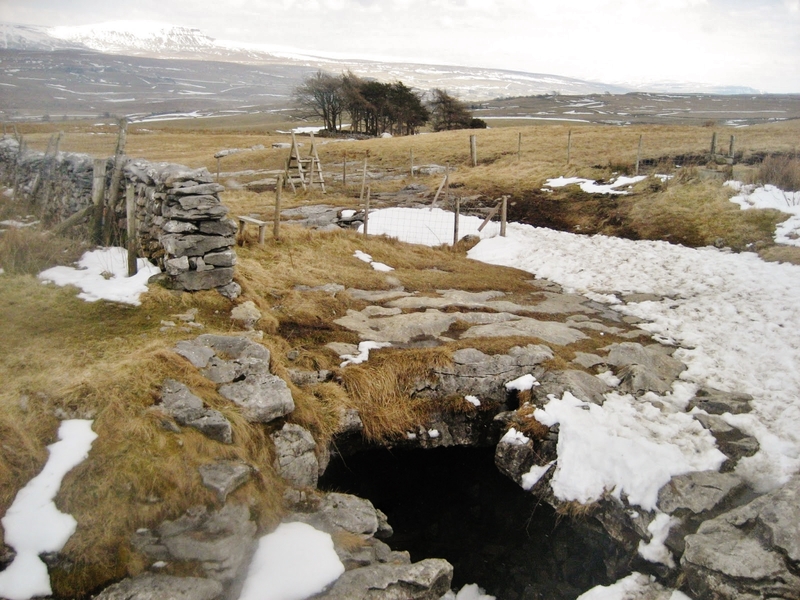 This marks the start of Upper Long Churn Cave: probably the best way to introduce an absolute beginner to the Ingleborough underworld. As the passage is followed downstream, continuous erosion of the limestone has left several oxbows at higher level on the left, long-since abandoned as the stream has found a lower course. The walls are beautifully scalloped along the length of the passage and several cascades are formed where shale beds have been exploited by the flow. 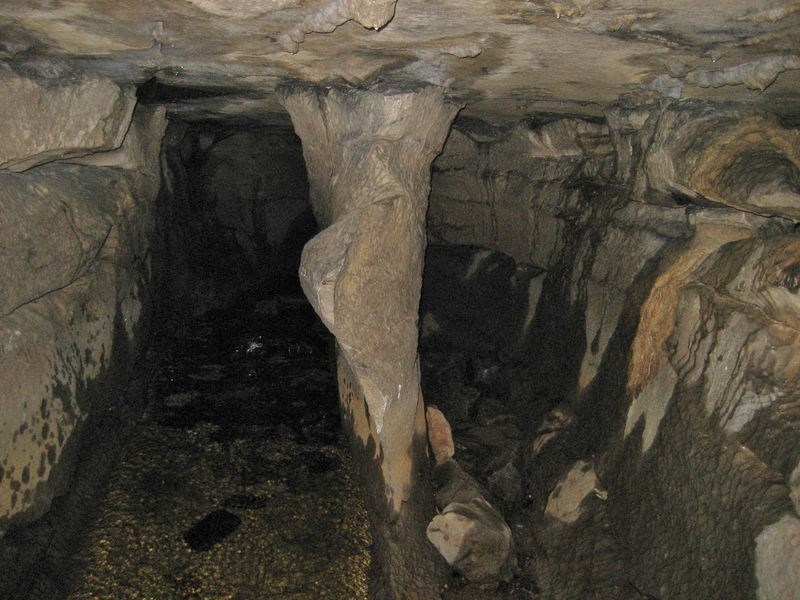 On the right of the passage, a former floor level appears like a swimming flatfish, and this marks the route to the abandoned Cross Passage, which links with Lower Long Churn Cave and is an exciting hands and knees crawl for a novice caver. The main route soon continues out into daylight by ignoring the stream, which continues into the darkness. 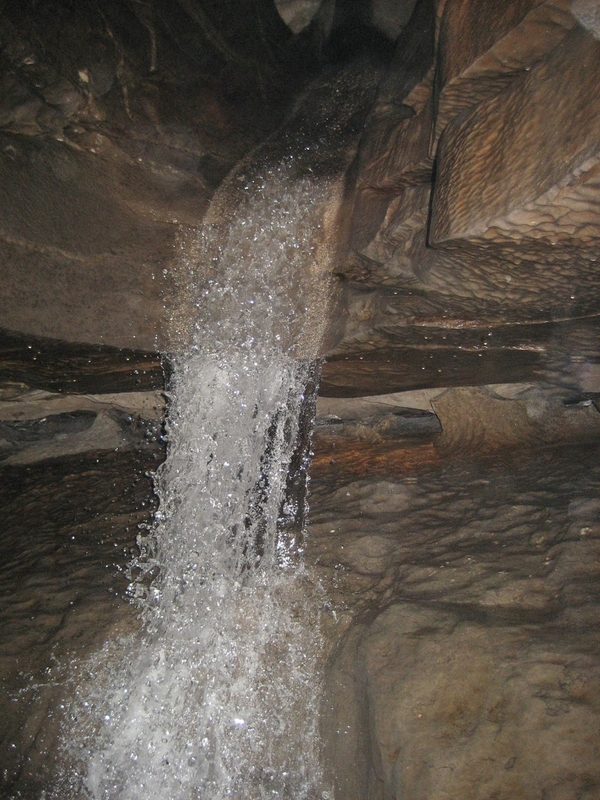 Once outside, a glance to the left will show water running from the exit to Wilson’s Cave – while a dry cave in front, with a hole in the ceiling, is evidently a collapsed area of former passage. A dark entrance on the right with an enticing rumble is the entrance to Lower Long Churn, and the Upper Long Churn water we left earlier can be seen coming in as a fine cascade; one of the delightful sights of the Three Peaks for a novice explorer. 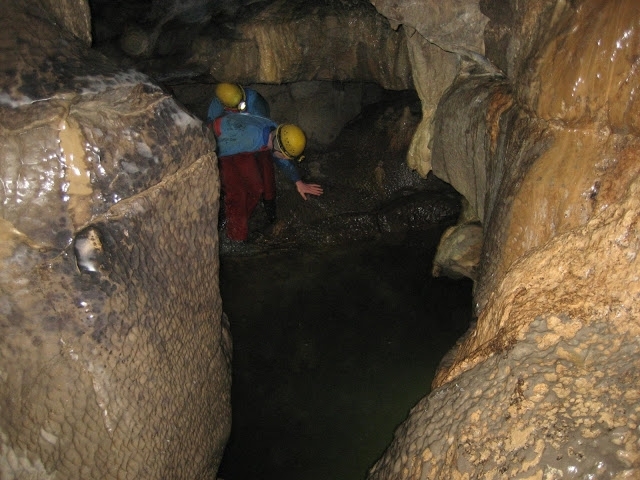 Inside Lower Long Churn, the stream continues just a few yards before branching into daylight on the right, where it soon enters the daunting Diccan Pot; formed, like Alum Pot, on a major joint aligned from north to south. 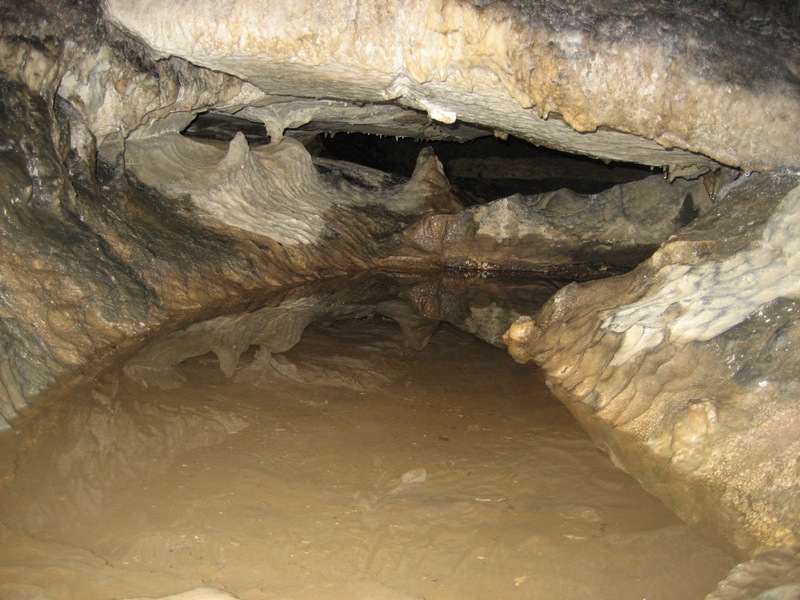 The caver ignores this diversion and continues into a usually dry passage before meeting the notorious ‘Double Shuffle Pool’ – where delicate acrobatics are needed to negotiate this former cascade to avoid a chilling soak in water well over a metre deep! 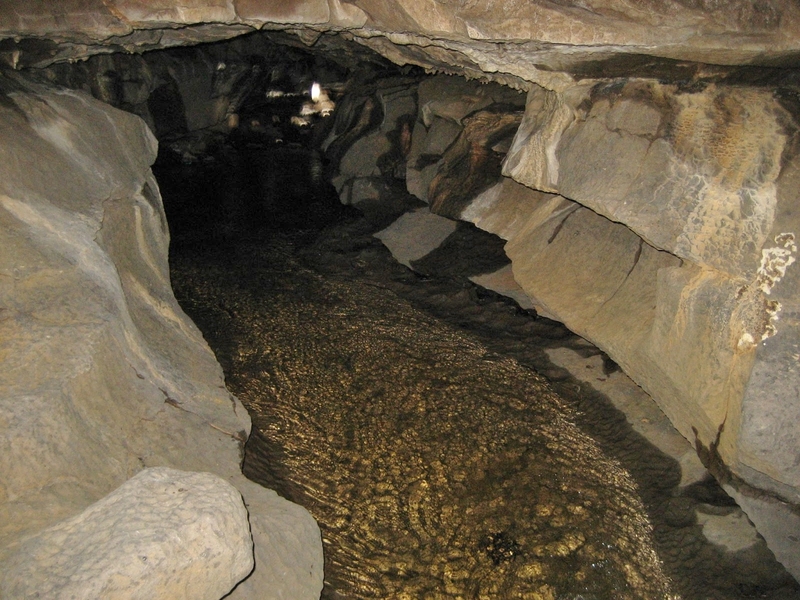 In flood conditions the pool is a dangerous obstacle and a warning that these caves should not be entered in unsettled weather. 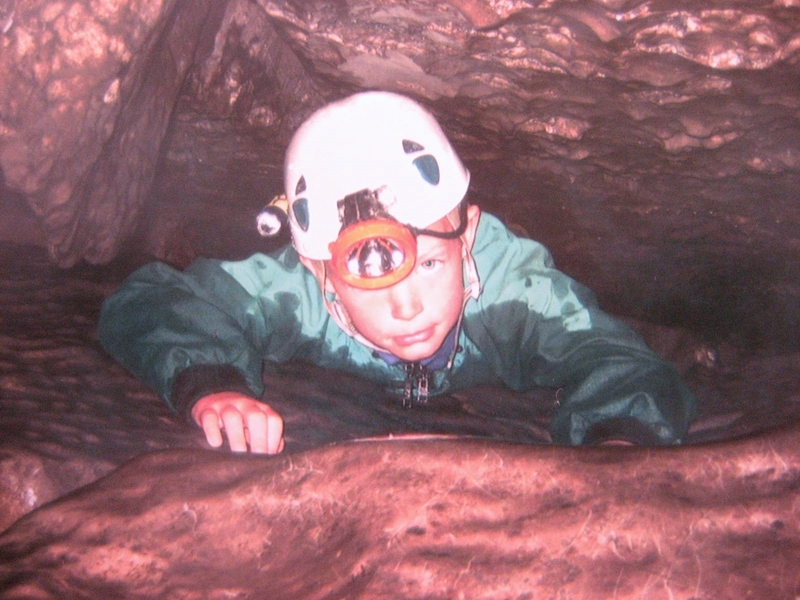 Though ‘easy’ in caving terms, they have claimed lives in the past and should be respected. Another former cascade pool is reached at Plank Pool, once bridged by crude wooden walkways for Victorian visitors. Further evidence of a once powerful torrent is then met where the ‘letterbox’ slot drops the visitor down an abandoned cascade into St. Paul’s; an attractive 6 metre long chamber mimicking the inside of Wren’s famous dome. Beyond St. Paul’s are two more famous obstacles; the celebrated ‘Cheese Press’ crawl, where water has eroded a shale bed to produce a rib-squeezing test for cavers – and the 14 metre Dolly Tubs pitch, named for the two distinctive pools that adorn its lip. This is the main route into Alum Pot for fully-equipped cavers, who emerge unforgettably onto a shelf inside the main shaft of the open hole; a maelstrom of steam and spray.